Happy February! 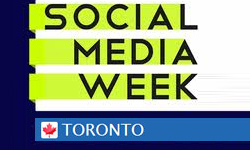 We have just begun enjoying 'Social Media Week’ in Toronto. It is a great way to keep on top of the industry and meet lots of people that are also interested in Social Media! I highly recommend that anyone interested check it out! Other big news this week was an uncharacteristic approach by Google this week directed at Bing who Google feels is stealing there search results. Bing has of course responded and created some of there own allegations. Oh ya – and congratulations to Aaron Rodgers and the Green Bay Packers. The Super Bowl win should be enough to keep Brett Favre retired for good this time. – Maybe. Along with Google Places, Social Media is probably the hottest topic that we deal with on a regular basis with clients. For those of you that are interested in learning first hand the event is going on as we speak in Toronto. This is your chance to join events across the city. The events are scheduled all week and the topics are numerous. Check it out and get involved! Bing isn’t denying it either. Bing seems to be using Google’s rankings to help them improve their own search experience. This is a wonderful article outlining how this is happening and the efforts Google has gone to in this sting operation. Bing even responded why they aren’t wrong doing what they are doing. Here is Bing’s official response. Google tells us that by the end of 2011 there will be 1 billion people connected to mobile. Phone owners are growing, mobile applications continue to flourish and we get Google’s opinion on how to get ready for mobile. Google mentions 3 core principles. 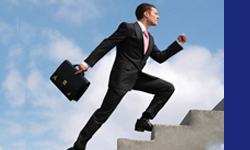 Be ready to serve visitors content that is mobile ready and makes use of the technologies available. To learn more and watch some great video check out the blog! This year for me marked the first one that I truly saw companies completely acknowledging online as a core area to get visitors involved and tied to their brands. This is a great article explaining this transformation. It has become clear that the new trend is in using social media sites like Facebook along with traditional advertising to attract visitors and develop brands. 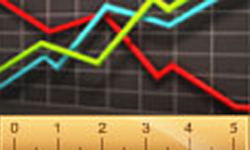 Want more Super Bowl data? Google also gave us a nice little bit of data about the Superbowl and top keyword searches.